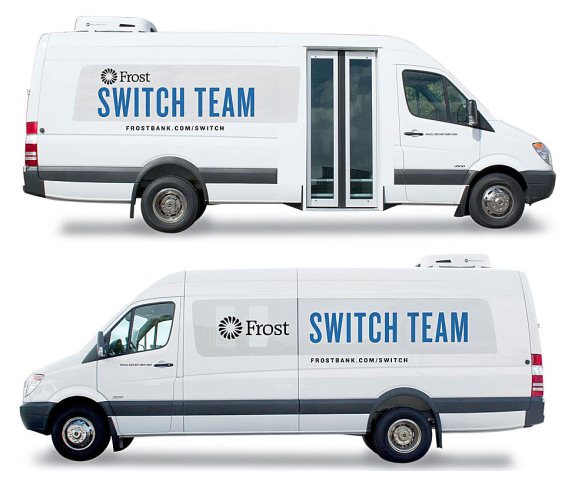 As the banking industry wrestles with the future role of physical branches, could branded cars and trucks be part of the answer? If banking will always involve some degree of in-person interaction, will mobile branches and ‘doorstep delivery’ become more common? Take a look at these interesting and inspiring examples and see what you think. The choice of car is interesting — a classic roadster. It’s cool and timeless, which helps the bank present itself as both stable and contemporary at the same time. 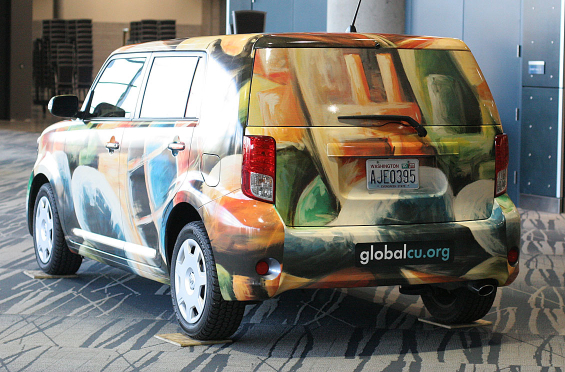 One thing’s for sure: if you saw this car rolling down the road, you’d take notice. 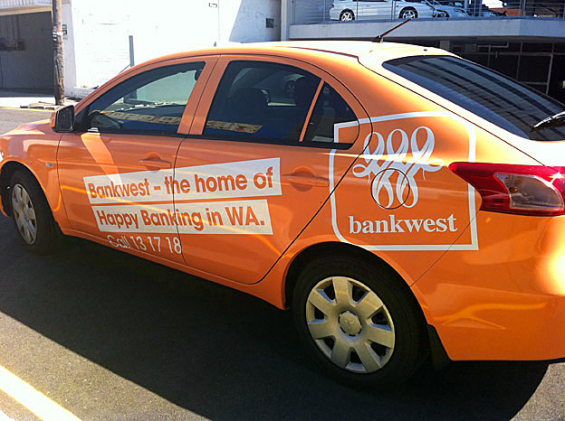 And that’s what having a branded vehicle is all about — name awareness and brand recognition. 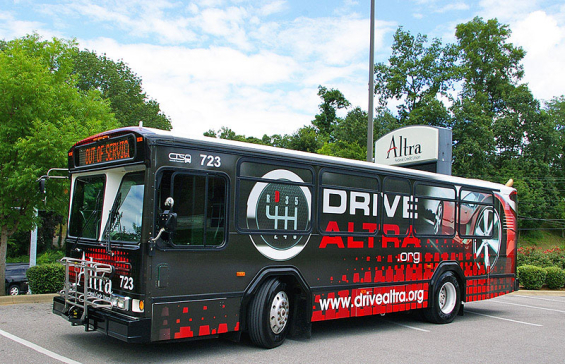 Altra FCU sponsored a “Snap the Wrap” contest where one smartphone user would win a $500.00 Visa gift card for taking a photo of the Altra-wrapped municipal bus. Altra FCU shared submitted snapshots on their Facebook page. 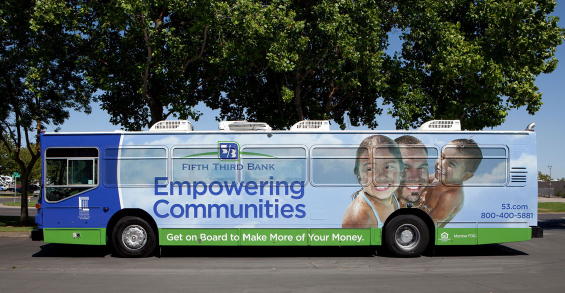 Fifth Third’s “e-Buses” provide job hunting tools, credit counseling and financial education resources for customers. 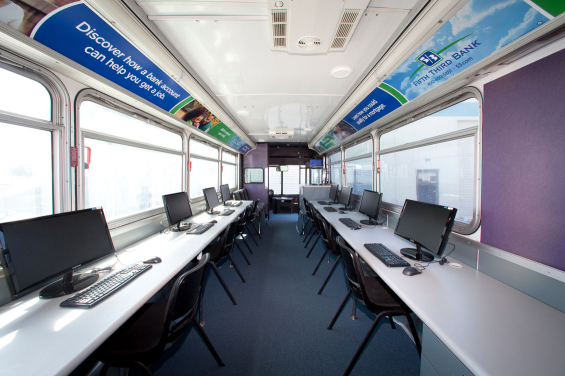 The 40-foot retrofitted city buses come with computer workstations and internet connectivity via satellite linkups. 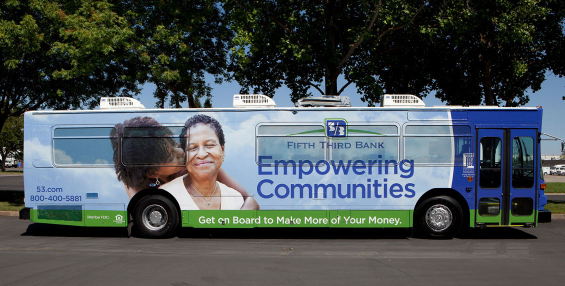 They are staffed by Fifth Third employees who are available at tour stops to provide one-on-one credit counseling, financial education and access to products and services. 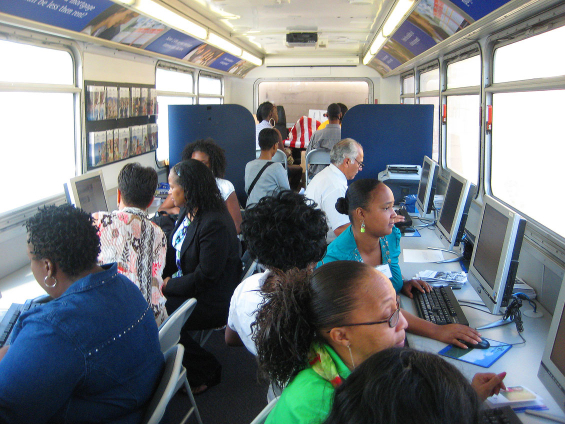 eBus tours are typically coordinated with community and non-profit organizations to create events in which people can gain assistance from basic needs to job fairs and financial education. 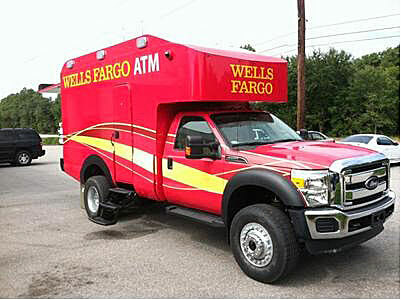 Wells Fargo has an entire fleet of disaster relief vehicles. 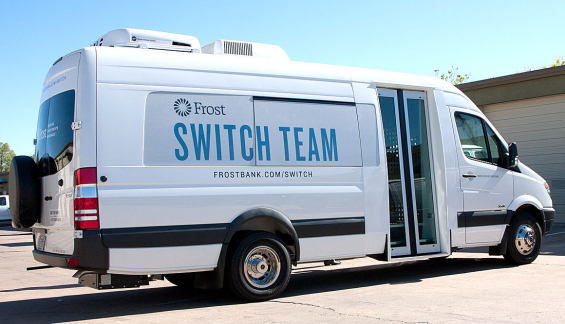 The bank sends the vehicles into disaster areas to provide basic financial services and help people access cash when credit card systems or other banking processes are down. 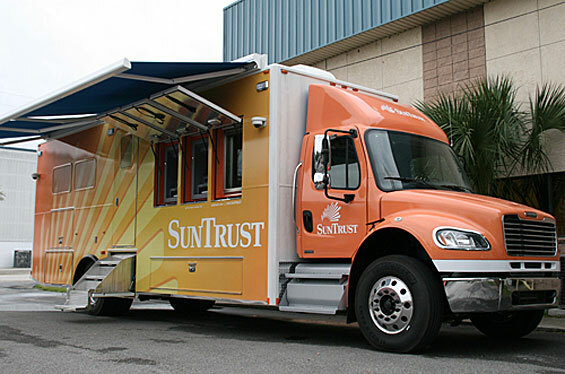 SunTrust uses this heavy-duty truck at events like NASCAR races and football games, and as a temporary branch at construction or remodeling sites. 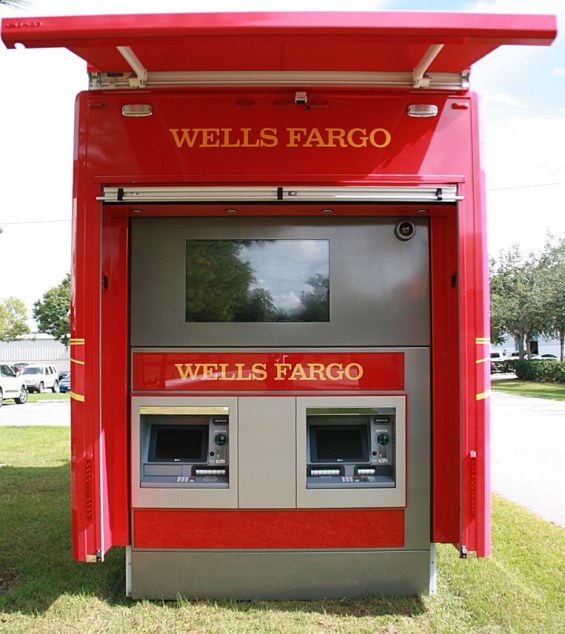 The vehicle’s features include customer service and teller desks, ATMs and other amenities. 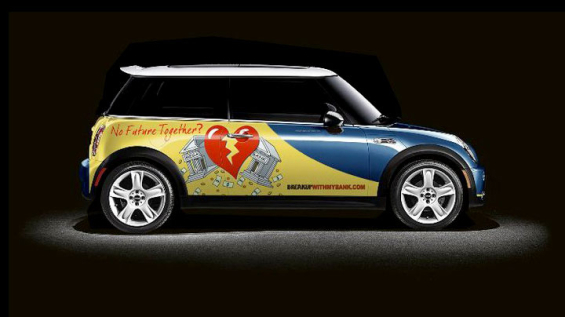 Ever since Currency, a marketing firm in the credit union space, started rolling out their turnkey Gen Y program back in 2007, they’ve been wrapping vehicles with branded graphics for their “spokesters.” Each car has its own personality, style and color scheme. 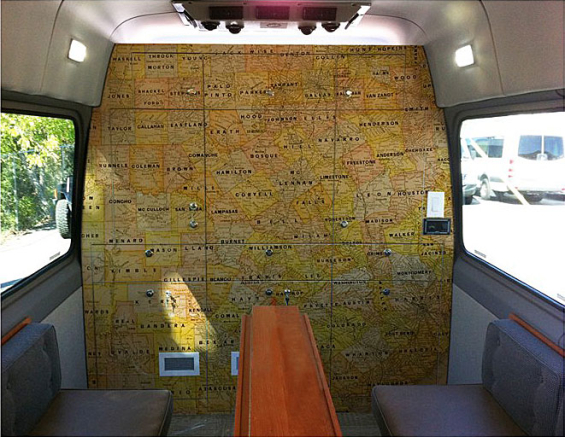 Shown below (in order) are vehicles for Young & Free programs in New Mexico, Michigan, St. Louis and Maine. 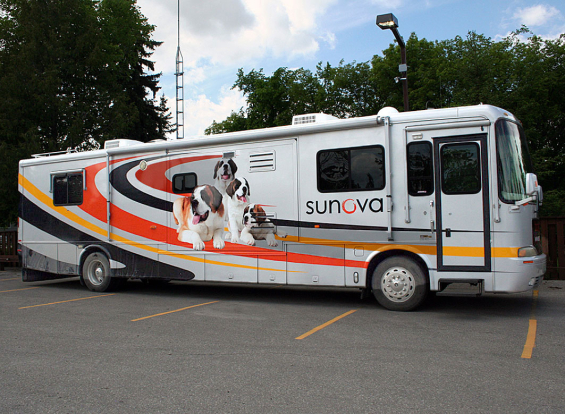 Sunova Credit Union – Bus… and Golf Cart! The Financial Brand loves just about everything that Sunova does. Not only do they have a cool branded bus for road shows, they have a branded golf cart! 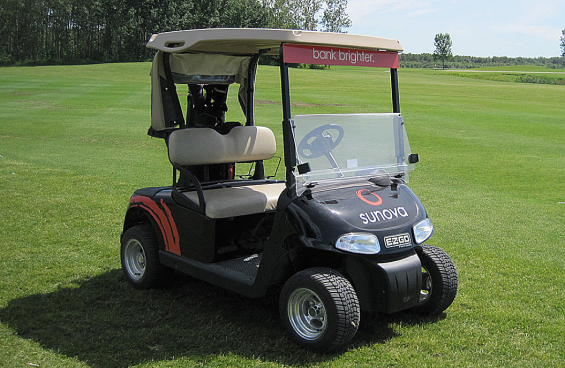 How many financial institutions can say they have a branded golf cart… particularly in Canada, where Sunova is based? 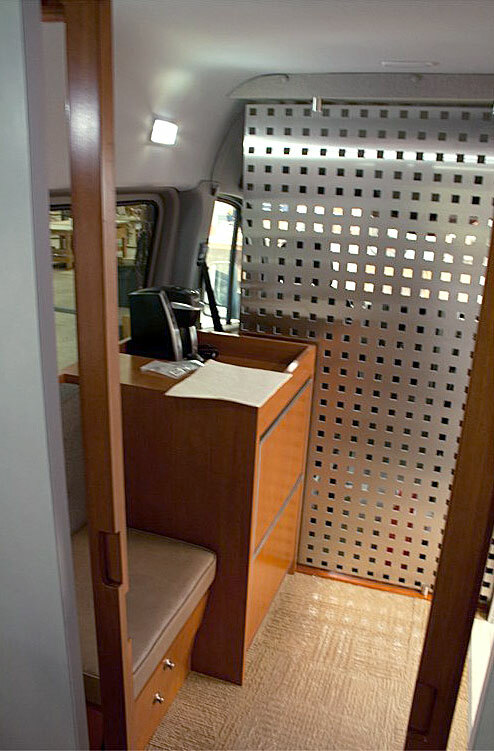 This vehicle is big enough to conduct meaningful business, but small enough to keep it affordable. 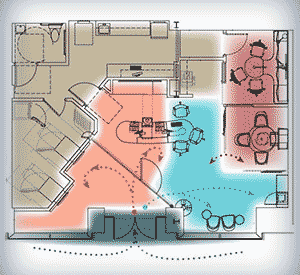 Inside, there’s a meeting space, a map of Texas (where Frost is based), and even a coffee maker. 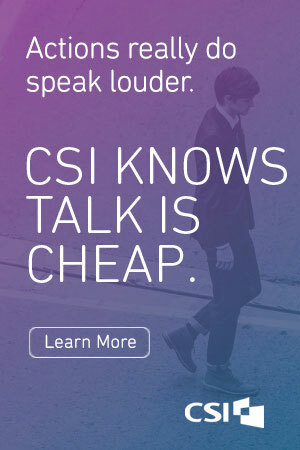 Global has had a very artistic and creative brand for a number of years now. They draw on local artists in their area to produce the graphics they use in their marketing materials. 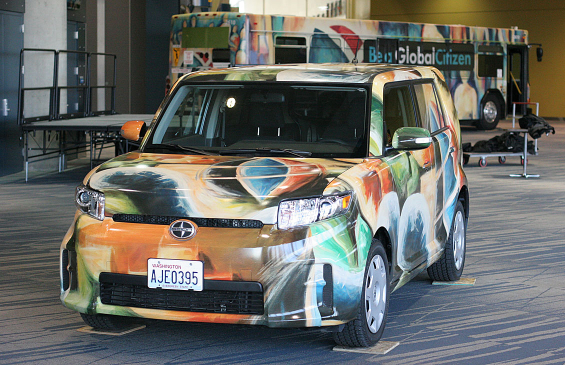 One artist’s work was selected for this Scion wrap, and you can see another artist’s work wrapping a city commuter bus in the background. 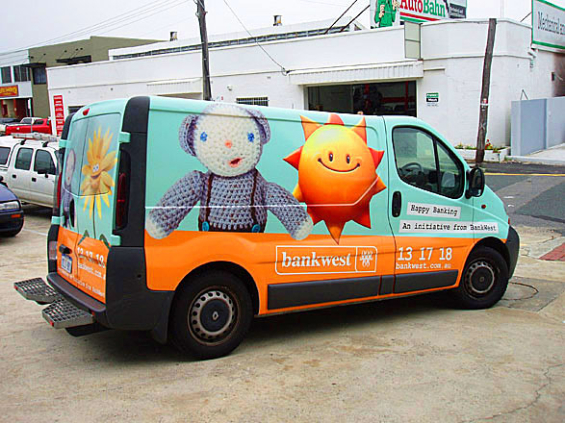 Picking the right vehicle to wrap is just as important as the branded graphics you put on it. 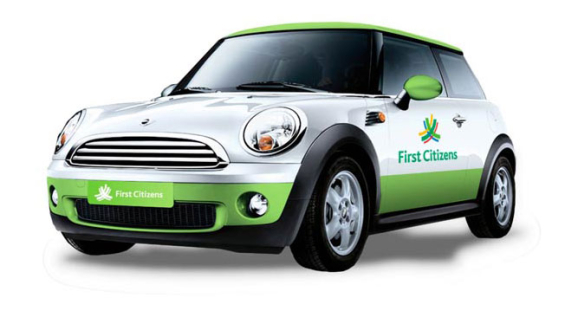 These two examples — one from First Citizens and the other from LA Financial Credit Union — show how a quirky, cool, compact, contemporary vehicle can impact people’s perception of a financial brand. 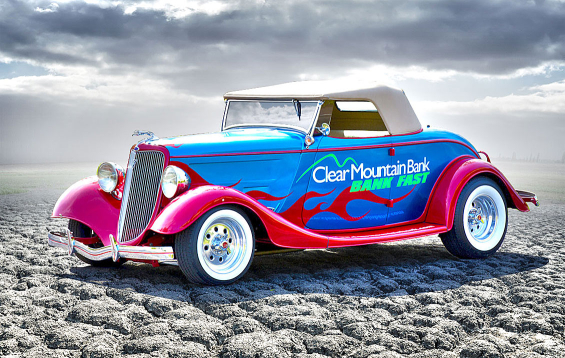 These aren’t the kind of boring cars you’d typically expect a bank or credit union to pick, and that says something positive about their brand. 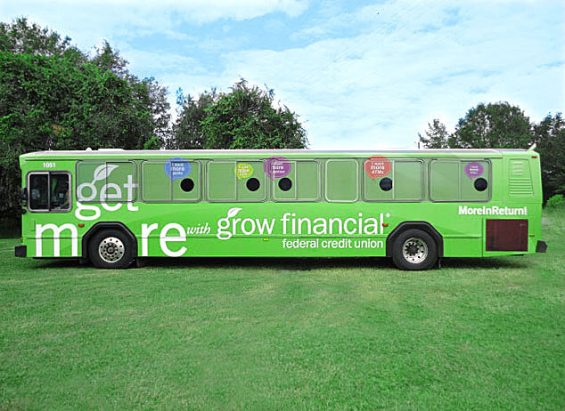 The credit union’s tagline, “Get More,” is cleverly embedded in the design of this bus wrap, using the tire/wheel well in place of the “O” in the word “More.” Any good environmental/outdoor design will incorporate its surroundings and/or spatial context. You’ll also notice some “holes” in the wrap where passengers sit, with dialogue bubbles suggesting the passengers are thinking/saying something about the credit union. 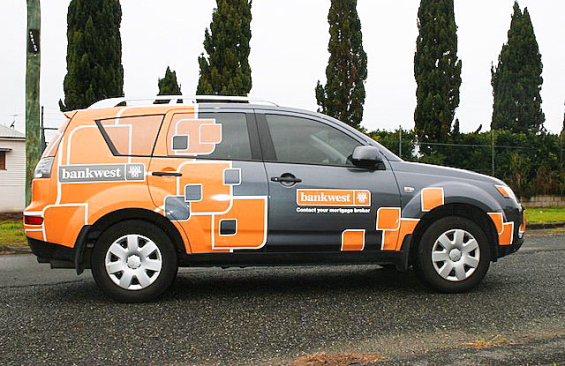 Bankwest, serving the remote coast of Western Australia, is one of The Financial Brand’s favorite financial institutions. They have a fleet of different vehicles for different purposes, each with its own design. Being consistent with your branding doesn’t mean you have to be repetitive, boring and predictable. 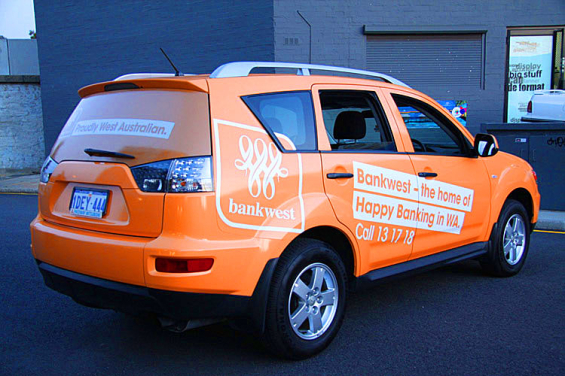 Cohesion and continuity are more important — something Bankwest is achieving with its range of wraps for its fleet. 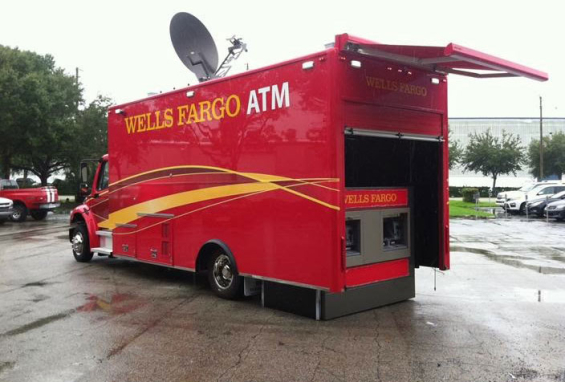 Similar to the mobile bank from SunTrust, this heavy-duty vehicle can be deployed at fairs, concerts and community events. 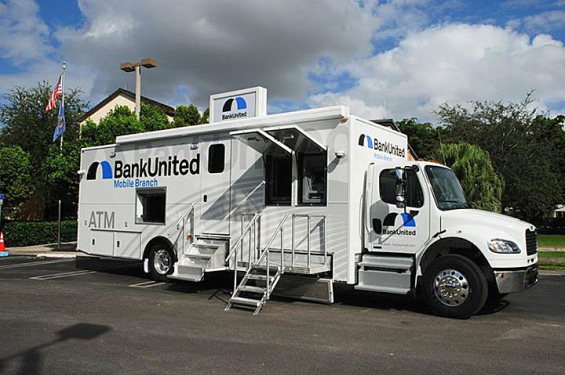 The interior space allows BankUnited to offer more than just basic ATM services wherever they take the truck. This article was originally published on May 14, 2014 . All content © 2019 by The Financial Brand and may not be reproduced by any means without permission.